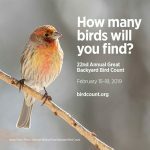 Spring bird migration is underway across much of the United States, and to give your homeschoolers a window into what’s happening why not spend a few minutes this week exploring the wonderful birdcast.info website sponsored by Cornell University. Birdcast.info is a daily “weather” forecast, and the weather it predicts is the nightly level of bird migration across the United States. 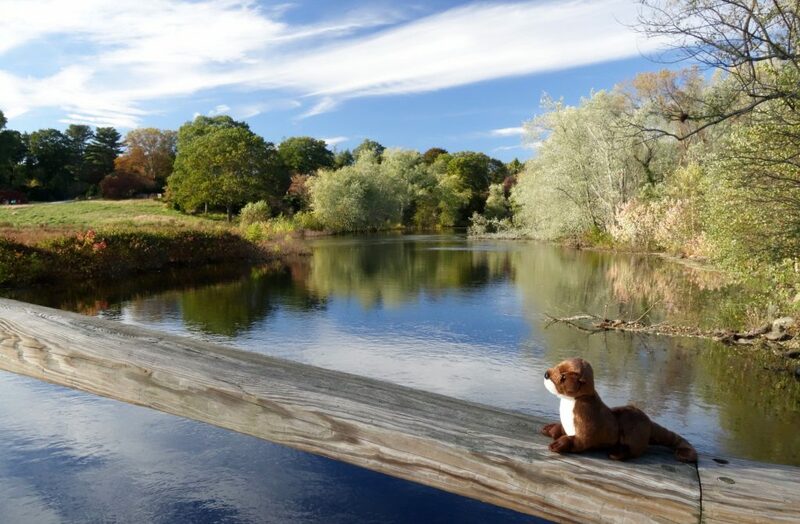 (Did you know that most birds migrate at night? It’s true!) The earliest migrating species start moving each year as far back as February, with others joining in during March and April, and the greatest numbers moving north in May. The birdcast.info website will show you the level of migration that’s expected across the country on any given night. The forecast for tomorrow night (Saturday night and Sunday morning), for example, shows moderate movement in the southeast and up the east coast, as well as along the south Pacific coast. Rain along the lower Mississippi will be blocking seasonal movements there. As the spring proceeds you’ll see the level of migration intensify, with heavy movements up the Mississippi and across the Great Plains, and along the east and west coasts, all subject to local variation caused by daily weather conditions that can “bottle up” migrants for short periods. 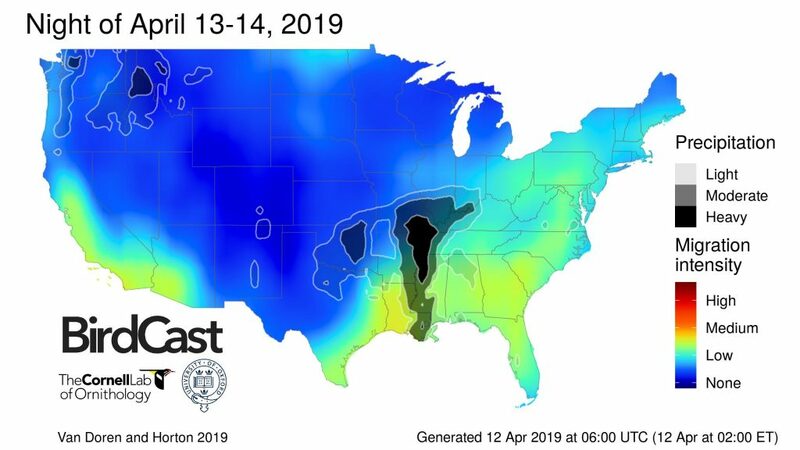 In addition to its daily forecast maps, birdcast.info also produces live nightly migration images based on nationwide radar observations that see bird movements directly. 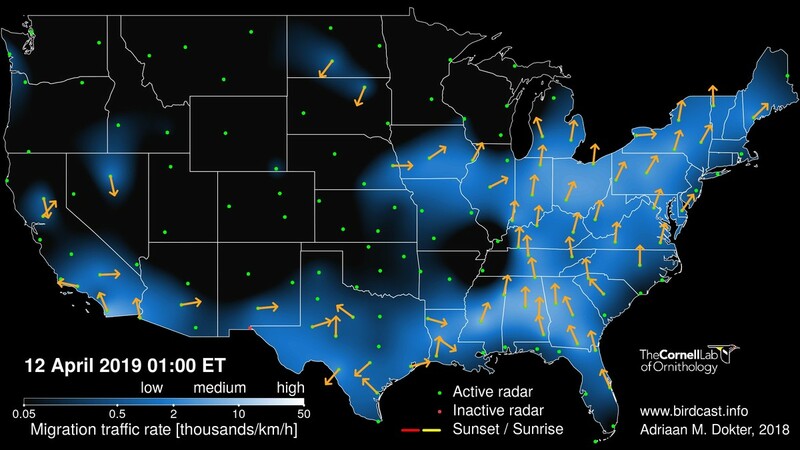 As sunset moves from east to west across the country, the sky “lights up” with radar echoes of migrating birds — it’s quite dramatic. Go to the live migration maps page to see these images in animated form.